The Budapest bid for the 2024 Olympic Games sent a sustainability team to London last week that toured London’s 2012 landmark venues, and met with British thought leaders. The team leveraged the opportunity to continue work developing key concepts for a sustainable Budapest 2024 Olympics. 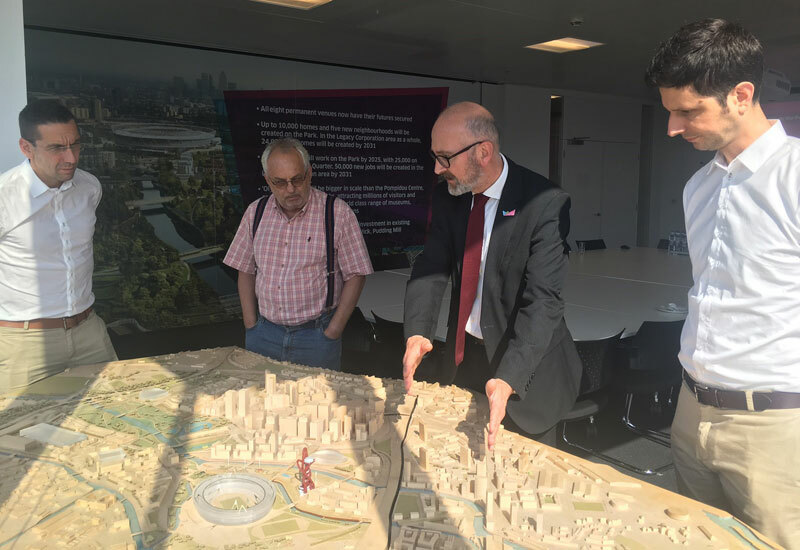 The team hoped to learn from the success of London 2012 and other UK based sustainability enterprises, visiting a number of innovative venues including Queen Elizabeth Olympic Park, the Lee Valley VeloPark and East Village. Budapest 2024 said that members of the team also met with sustainability trailblazers and leaders from organizations such as the Building Research Establishment and the Royal Institute of British Architects. The delegation included Budapest 2024 Sustainability Advisory Board (SAB) chairman Pat Baross who is also Central European University redevelopment director and President of the Hungary Green Building Council (HuGBC). At Queen Elizabeth Olympic Park, Baross said, “we will ensure that sustainability is placed at the centre of the transformative legacies of Budapest 2024. Our Games bid offers a unique opportunity to accelerate the journey towards an event more sustainable future for Budapest, our six additional Olympic cities and Hungary as a nation. “London 2012 has a great track record for sustainability, for example in its zero waste to landfill policy, carbon emissions and use of recycled materials, and its right on Europe’s doorstep. Budapest is competing with rivals Los Angeles and Paris to host the Games in 2024. Rome is expected to drop out of the race after last week Mayor Virginia Raggi refused to support the Italian bid and produced a motion for city hall to vote against the project. The motion, which is expected to pass, will be heard Thursday. The International Olympic Committee will elect the the winner September 2017 in Lima, Peru.